Khutbat e Faqeer Complete 44 Volumes Authored By Maulana Pir Zulfiqar Ahmad Naqshbandi. This book “Khutbat e Faqeer” is a collection of speeches (Bayanat) of Maulana Pri Zulfiqar Ahmad Naqshband sahib on the most important Islamic topics in Urdu language. 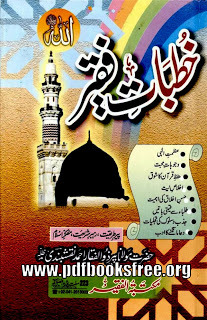 Complete 44 volumes of Khutbat-e-Faqeer is now available here for reading and download. Click on the below mentioned links to read online or Download all 44 volumes in Pdf format to read offline. All the books are in very simple Urdu. But the link for Volume 11 does not work properly. It downloaded Volume 3 instead of Volume 11.